We had the pleasure of filming an event that was very special, and has pulled on our heart strings. 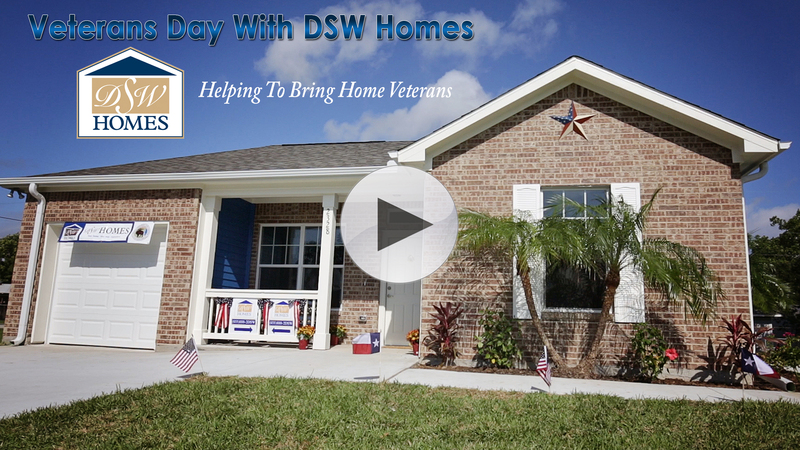 DSW, a home construction company, had given several Veterans a brand new home. Their previous homes were destroyed during the recent hurricanes we've received this past decade. As we all know that kind of devastation takes not only personal belongings, but also peace of mind. By stepping in and showing their appreciation for our nation's Veterans, DSW has blown us all away with the beautiful homes that they've built and the sense of security that was given to these men. Mr. Brewer and his family loves his brand new home. It is so much more than just a simple house; it's his "mansion", and he couldn't be any prouder of it and DSW. So please enjoy this heartfelt act of generosity, and be prepared to grab some tissues! This past weekend I had the amazing opportunity to film a marriage proposal. While we have never been asked to do this in 5 years, I was super excited to get this special day on video for this lovely couple. When Henry took Fei to Brenner's On The Bayou for their 2 year anniversary, Fei had no idea what he had planned. After excusing himself for a moment, Henry made sure all preparations were set in place at the downstairs gazebo where he would get to his knee and propose to the girl of his dreams. "He makes me feel perfect. You know just... perfect" as Fei said after saying YES!! Congratulations you two and may the road of life be a long en joyful one! Ever heard of the Business Showcase? Have you ever been? Well if you haven't just see what exactly you are missing out on!!! Lots of local vendors, FREE FOOD, Prizes and giveaways! Perfect for all ages and everyone will have a blast! Check out the video and see for yourself! 2014 Pearland Business Showcase - The Price is Right from Jwayne Productions on Vimeo. Elisheva Golani Photography Promo Video from Jwayne Productions on Vimeo. On December 20th, 2014, Jackie McLemore & Eran Denzler were joined together in marriage at the admiral in sea brook TX. May their love only grow stronger with each passing day and may their hearts be filled with joy! Brooks - Sparks Wedding Highlights from Jwayne Productions on Vimeo. Congratulations Ashlee Brooks & Stephen Sparks. On November 15th, 2013 at Lindsay lakes, they were joined together in front of their family & friends in marriage. May your love for each other only grow ever stronger in the days you share.